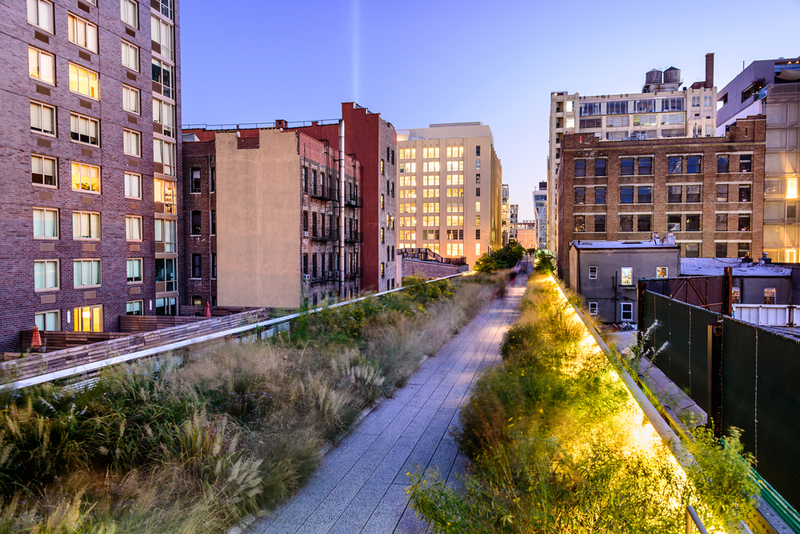 A photo of New York’s High Line Park which serves as the location of the art installation. I want a president was written for a queer magazine in 1992 when Bill Clinton was running against the first George Bush and Ross Perot. But it still rings the same bells today, with another Clinton in the race for the same seat and the political circus act turned all the way up to ludicrous levels. So it is fitting that the prose poem, written by AIDS activist Zoe Leonard, is now being writ large on the streets of New York City. 30 feet high by 20 feet wide, done in typewriter font on wheat-paste gesso on one of the pylons of the NYC High Line, it is a declamatory statement about presidential politics. It begins with “I want a dyke for president,” and ends with “I want to know why we started learning somewhere down the line that a president is always a clown… always a thief and never caught.” To view a photo of the giant poem, click here. The words of the essay are angry, an earnest and personal reaction to the homogeneity of American politics. All three major candidates in 1992, and most candidates in general, didn’t represent American diversity. Wealthy white men who grew up well-to-do or better, went to expensive schools, followed rarefied career paths. After the essay’s publication, it became a cult hit in queer literature. It was published as a postcard in 2006 and decorated many dorm rooms as a poster. Recently, black trans rapper Mykki Blanco performed the piece for a Youtube video. I want a president will be on view from October 11 through November 17.